Drone Racing, Parachuting Canopy Piloting and Paramotoring are fairly recent sports that have in common spectacular competitions specially designed to thrill spectators. Whatever pilots fly, to compete at the highest level takes skill, ambition, training and years of dedicated practice. 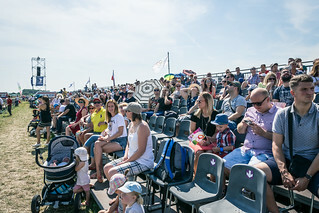 is a test of a pilot’s ability to beat other competitors by racing around a specially built course, often flying through gates and around obstacles to reach the finish line in the fastest time. 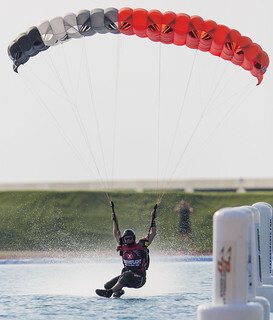 Speedy, exciting, and highly skilled: it’s one of the fastest growing air sports in the world today. The drones used in Drone Racing competitions are generally built by the pilots themselves, and are designed for speed and agility. Radio-controlled, and with engines powered by electric batteries, they can often travel at speeds of more than 100 mph – meaning pilots need lightning fast reactions to fly them. That’s one reason Drone Racing pilots wear headsets that give them a live-stream FPV (first-person view) of the action and allow both pilots and fans to enjoy the illusion of flying at breakneck speeds, all without taking their feet off the ground. 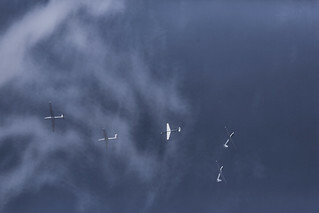 is one of the most spectacular disciplines in air sports. Relatively new, the idea is to test a parachutist’s ability to control their canopy accurately at high speed. 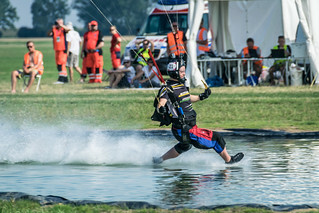 After jumping out of the aircraft competitors spiral down towards the performance zone, a long stretch of water known as a 'swooping pond'. There, as they pass through the course across the swooping pond, they are scored on speed, accuracy and distance. In the Freestyle round scores are given for technical difficulty, presentation and landing. Stand by to be amazed. 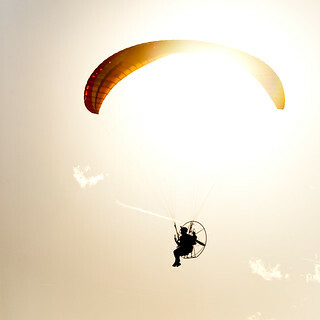 also known as powered paragliding, is one of the most accessible forms of flight there is. 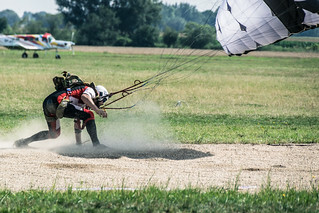 Flying a paraglider and using a back-mounted engine, which is now electric on some models, pilots launch with a quick run from the ground to get into the air. 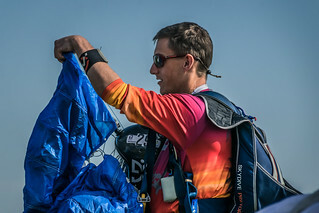 Many paramotoring competitions require participants to complete a series of tasks designed to measure precision flying skills, such as Accuracy Landing or Paramotor Football. Spectators looking for action should watch for pilots foot-dragging in the water and flying slalom. Clear prop, and start your engines!